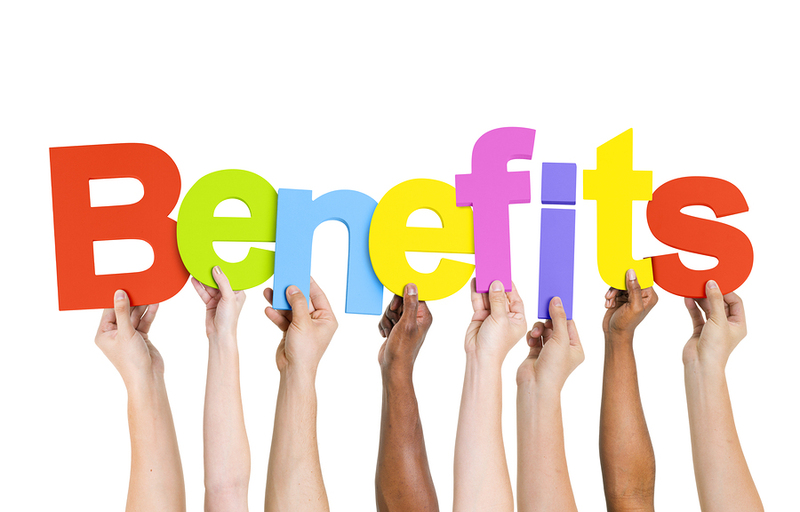 Member benefits are usually the reason members join your organization. So the challenge is to identify and offer benefits that members will take advantage of, and in which they see enough value to keep them engaged and participating. With so many organizations struggling to grow, or retain their existing membership, it’s not surprising that “demonstrating member value” was one of the top three priorities identified in our 2014 Small Membership Survey. We believe there is real value in sharing ideas with like-minded individuals in similar associations, clubs and non-profits. In fact, our Small Member Advisory Community sessions are specifically designed to connect people in similar roles, facing similar obstacles. So when we wanted to get an inside look at some of the benefits currently being offered in associations, we asked our Small Membership Advisory Community members to weigh in. In a recent session, we spoke to a group of volunteers and staff that help run business and trade associations across North America. These individuals shared their ideas and experiences on both the challenges they face and successes they have achieved in providing value through member benefits. A number of the Advisory Community members noted that they offer discounts to members for event tickets. In some cases, members can receive discounts for their own local organization, as well as regional or national events as well. For example, Laura Stotland from the Los Angeles based Alliance for Women in Media, Southern California Affiliate told the group that special membership discounts on event tickets is one of her organization’s biggest benefits. They usually offer a $10 to $20 discount to members on each event ticket. And Laura noted that since their annual membership fee is currently $125, it doesn't take long for the event ticket savings to offset the annual membership fee. If your organization holds events on a regular basis, demonstrating the cost savings might be a key selling point for potential members. While many associations provide events, one of the session participants noted that they offer value by focusing on providing expert speakers. The key is to source experts that not only speak directly to your members’ needs and offer targeted insight, but also to look for speakers that are not widely available. In other words, your association can be known for offering exclusive knowledge and insights that are hard to find anywhere else. This means focusing on business leaders, professors and successful professionals within your specific sector, or those who may not be known in your sector but may offer some unique insight. Since the key reasons members join associations is for networking and knowledge sharing, developing a reputation as an organization that provides unique, targeted insight may be a powerful motivator for joining. The concept of exclusivity also lends itself to information in the form of documents such as forms, guidelines, checklists and learning materials. Some of the Small Membership Advisory Community members noted that offering exclusive access to industry or sector materials, reports, and data can be a key benefit to members. Think about information that your members might need, or insight that is invaluable to their jobs or their organizations. Consider setting up a member-only portal. This way, you can limit access through members user names and passwords. Each time they log in to access information, they are reminded of the value of membership. During the session, Melissa Roberts from The Tennessee Self Storage Association (a non-profit with 215 paying members that serves “as a united voice for the self-service industry”) offered many great examples of how they provide value to their members using their member-only portal (developed using Wild Apricot). Association blog: Members have access to the association blog that helps keeps its members current on news related to their industry. Special documents: The Association provides documents like sample lease agreements, contracts, building code documents and other pertinent legal information only to members. These are just a few examples of how an association can provide value to their members by offering exclusive, specialized information that speaks directly to their membership. Identifying new products, services or events that your members value is just the first step. It’s also important to effectively communicate the benefits and demonstrate the value members can gain. The Small Membership Advisory Community contributors also noted that having unique member benefits was a great way of creating unique selling propositions that they can use to recruit new members. In talking with these Advisory members, we realized that some organizations may be taking their key benefits for granted and therefore, forgetting to feature these in recruitment campaigns. Be sure to include details on the available benefits on your website and in printed materials. Adding testimonials and photos that demonstrate the value can help convince prospects to join and re-engage existing members. Ask your members: What are they looking for? What would give them the most value? Listen and take their advice. Brainstorm: Get everyone involved. Ask your board to lead a discussion into finding ways to create value. Talk to your volunteers – they have fingers on the membership pulse. Market your ideas: Once you have something unique to offer or have realized the potential you were already offering, use every avenue possible to communicate your new benefits and incentives. For current members, use your usual modes of communication (email blasts, E-newsletters etc.) to remind them of the benefits to help increase membership engagement. For potential members, make sure to include a list of benefits on your website and in any other solicitation and marketing material that goes out to prospects. Have you been inspired to add some new benefits and incentives to your organization? Let us know your thoughts in the comments below. And if you’d like to join the conversation, visit our Small Membership Advisory Forum and add a comment or ask your peers a question.